It was a benchmark season for Jared Mees in 2017. 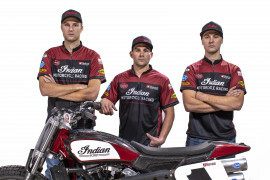 After losing the title in the final corner at the Santa Rosa Mile in 2016, the Indian Motorcycle/Rogers Racing rider came out swinging in the new era of American Flat Track. 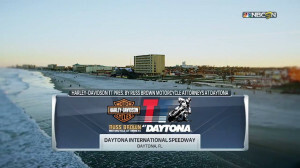 At the season opener – the inaugural DAYTONA TT – Mees scored a dominant win, making history for Indian Motorcycle and himself with the brand's first win in over 60 years. 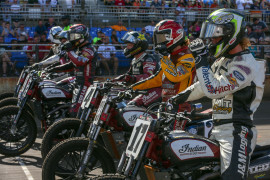 After that, the records kept coming as Mees clinched the AFT Twins championship two rounds early in the Keystone State in front of the home crowd at the Williams Grove Half-Mile. By the season's end, Mees racked up 10 wins, six second-place finishes and one third-place finish, earning him the record for the most podiums in a single season. 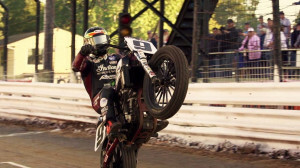 Mees also earned a Grand Slam – a Short Track, TT, Half-Mile and Mile win – in 2017, a feat that only a few riders have accomplished. Mees’ 10 victories moved him up to ninth on the all-time win list in the Grand National Championship tied with rival Bryan Smith with 30-career wins. 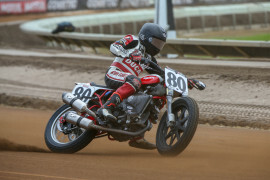 Jared Mees raised the bar in 2017, adding another American Flat Track premier class championship to his resume two races early at Willams Grove Half-Mile. He scored 10 wins and 17 podiums; his worst finish of the year was at Lima, when he jumped the start in the Semi twice and failed to make the Main. 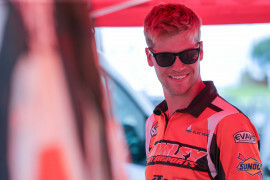 Mees rode for the Indian Motorcycle/Rogers Racing squad in 2017. 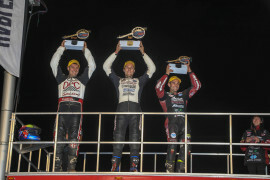 Took home his third GNC1 title, with nine podiums highlighted by a single win (Black Hills H-M). Raced for Las Vegas H-D/Rogers Racing/SDI Racing/Harley-Davidson. 2014 Mees methodically won the Grand National Championship, winning two GNC1 races, but finishing inside the top five in all but one race. He recorded nine total podiums and finished fourth in the season finale at Pomona, exactly the sport he needed to be in to clinch the title. 2013 Followed up his 2012 title run with a fourth place effort in the overall GNC point standings. Recorded one win and four podiums. 2012 Had a career year that consisted of an overall Grand National Championship title as well as a GNC Singles championship. 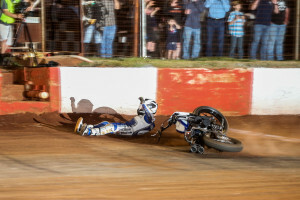 The AMA Pro Flat Track phenom found himself inside the top 10 in every race but one, and inside the top 5 in all but three races. Best performance came at Hagerstown where he recorded his lone win on the year. 2011 Mees had an impressive season earning three poles and five wins in the GNC Twins Competition taking the overall win. Mees earned 15 Top5s and three Top10’s. Raced with Rogers Lake Lucas Oil Harley Davidson/Honda. 2010 Finished third overall, turning in a total of nine podium finishes. 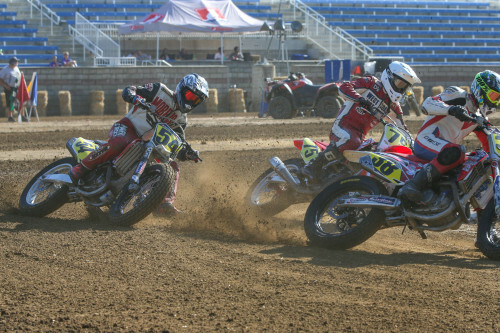 2009 Mees won the AMA Pro Grand National Twins Championship, earned ten top-5 finishes in the Singles and Twins main events. 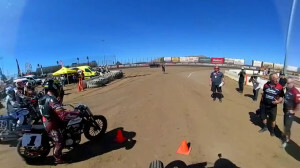 Raced in the AMA Pro National Hot Shoe Series, winning the 450cc Expert Singles Championship, and runner-up in the AMA Pro National Hot Shoe Twins Championship...Raced with Blue Springs Screamin' Eagle Harley-Davidson/Saddlemen Honda race team. Took third place at Vernon Downs, NY and second place at Billings, MT. 2007 Winner of Bulls Gap, Lima and Joliet GNC Twins races and had eight additional podiums. Finished second overall in twins points, third overall in singles points and second in combined points. 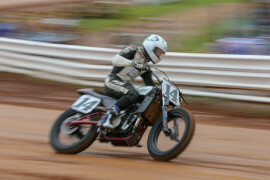 2006 Won the Saluda, VA GNC Half Mile Twins event with four additional podiums. Finished second overall in the twins championship.